2. 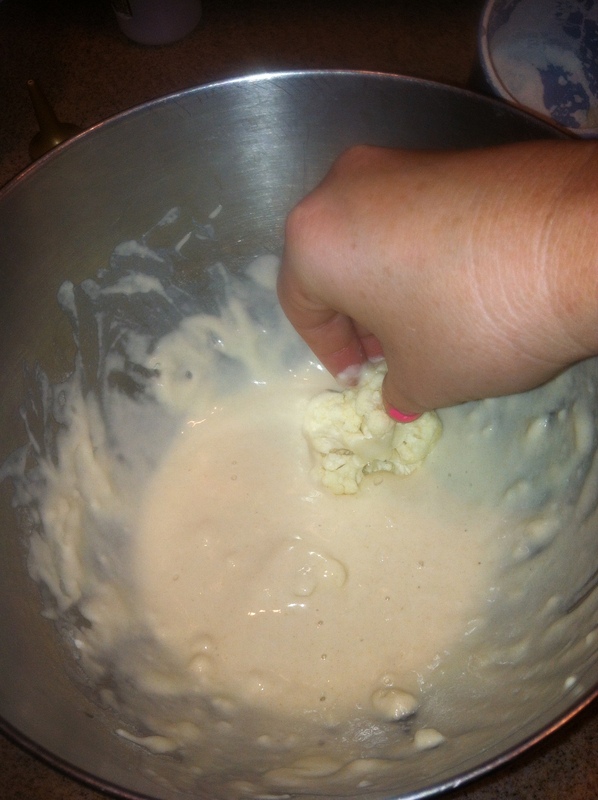 Dip and coat the cauliflower in the mixture. 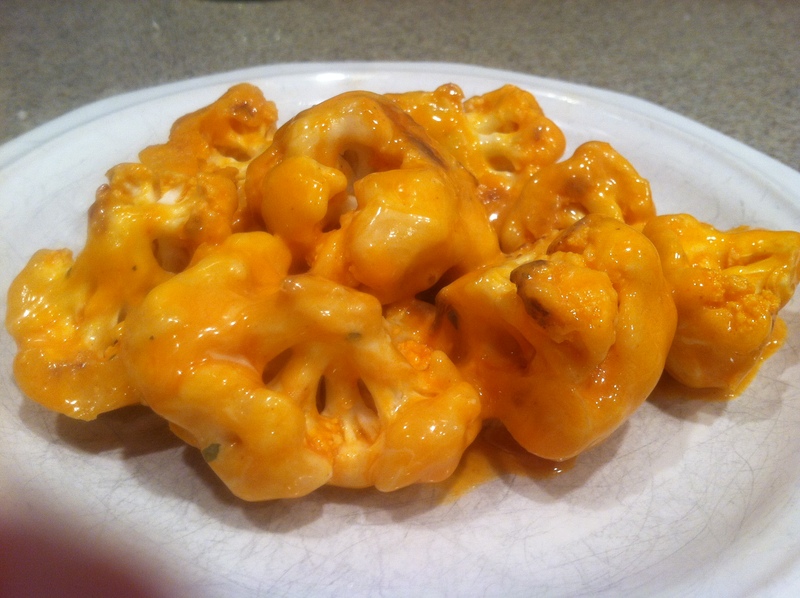 Evenly place the cauliflower on a greased baking sheet at 450 for about 20 minutes. After cooking let cool for five minutes. 3. In a bowl. 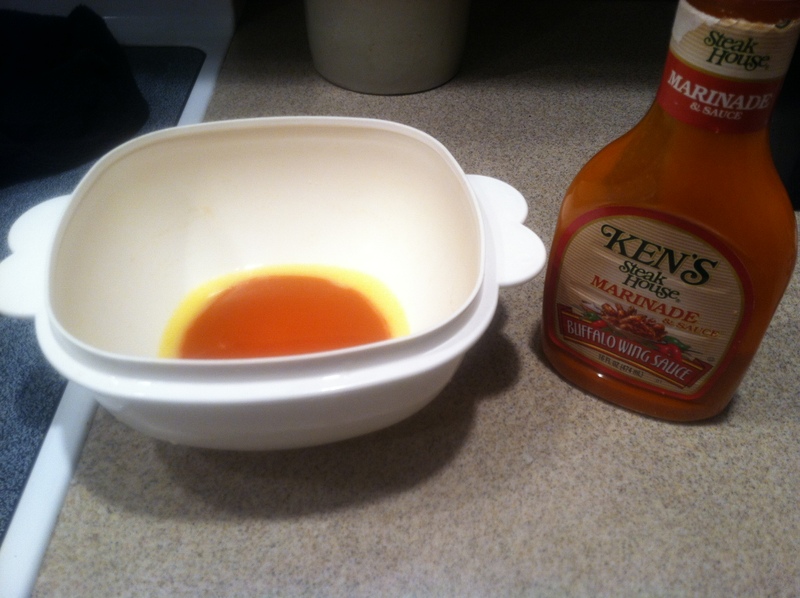 mix together melted butter and hot sauce. 4. 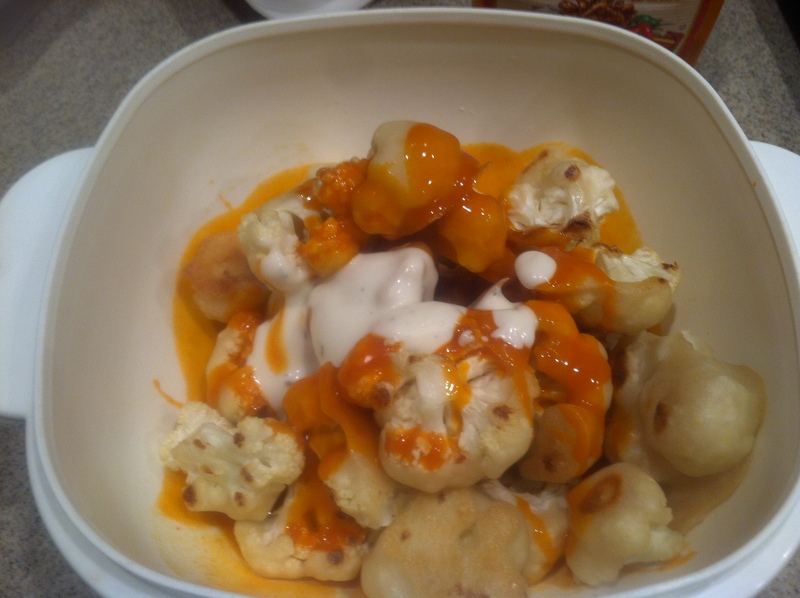 Mixture together cauliflower, hot sauce. 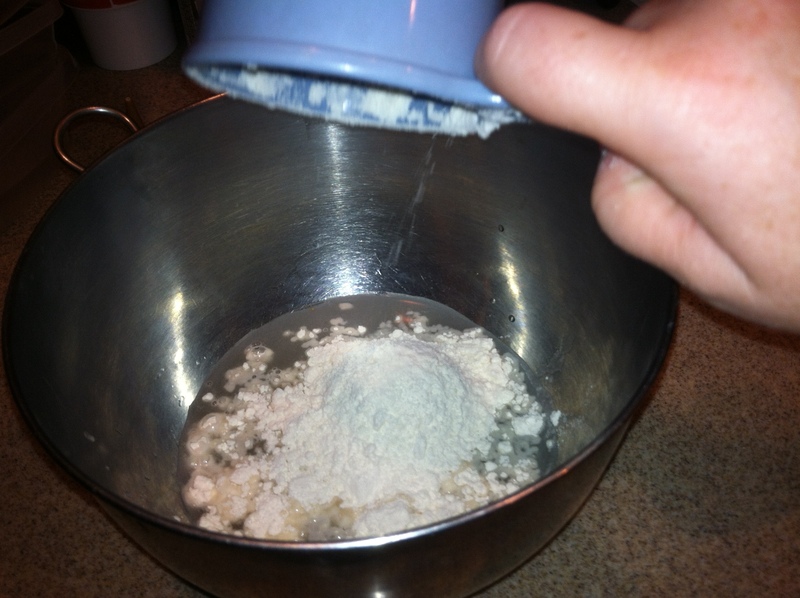 Add a little ranch dressing if you are not a fan of spicy items.